Severe use was allowed to take place here again in 2017 after three grazing years of NRST “Stockmanship Plans” which imposed chaotic grazing. A new MIM site was set up here to monitor conditions as a pre-band aid exclosure. 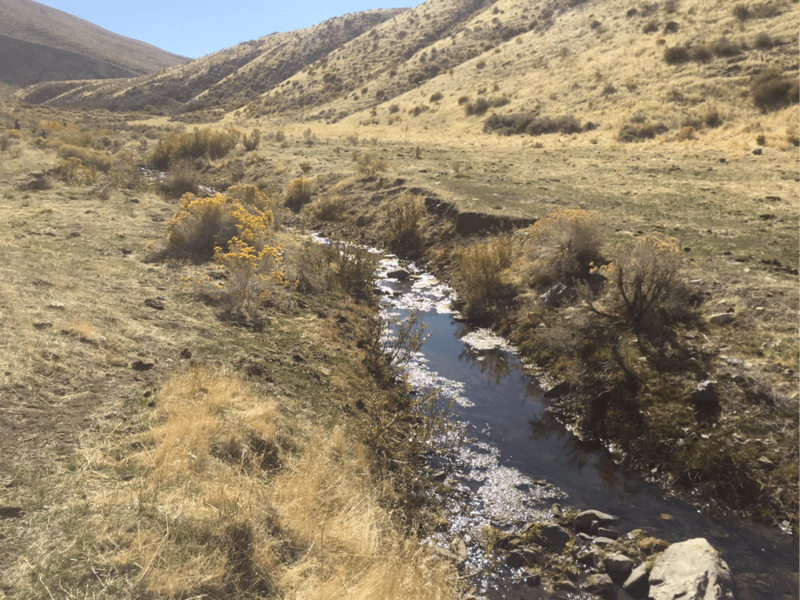 This was done so that next year the ranchers can claim “improvement” while the rest of this important watershed suffers scorched earth grazing across BLM and private lands. The proposal also included a “water gap” between the band aid exclosure and a downstream pasture fence. 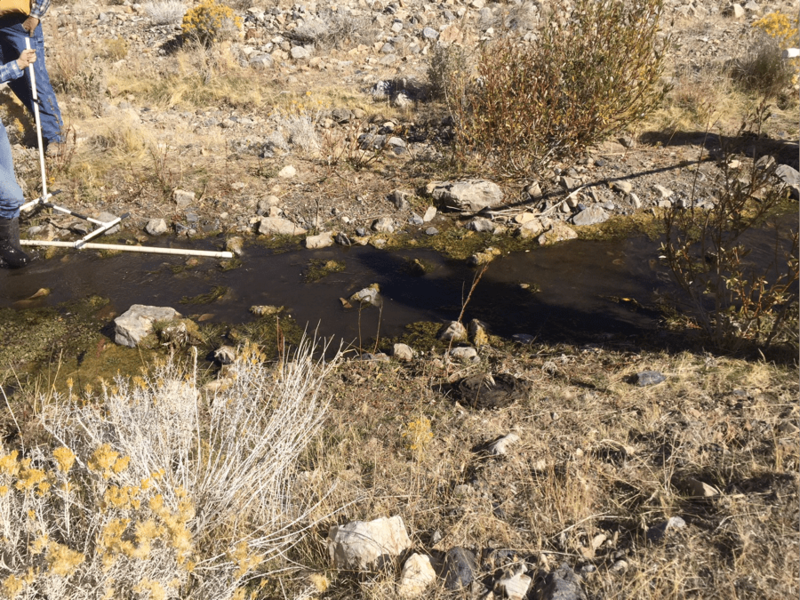 A “water gap” being a cow muckhole a site choked with copious amounts of livestock waste. It was to be located right where the public must drive across the stream on the main access road. The drainage lacks culverts here. So the public would be exposed to a livestock waste brine splashing their vehicles and windows with pathogen infested water and stinking up everything. Cows will be bedded down on the main road or large groups will be bolting In front of vehicles. This project would endanger public health and safety. 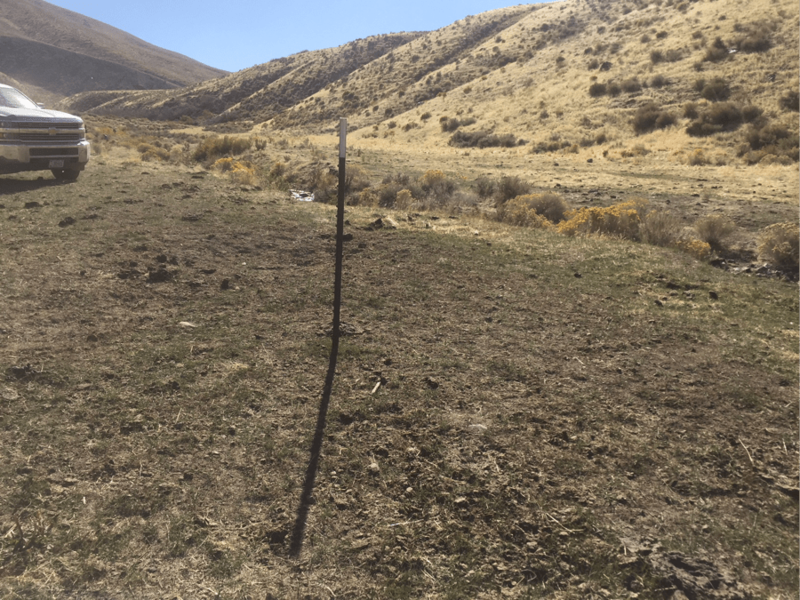 Finally in fall 2017, the Office of Hearings and Appeals stayed the third set of Argenta cow fencing projects where the NRST rancher cabal was sequentially fencing off monitoring sites to rig the outcome of an allotment assessment. 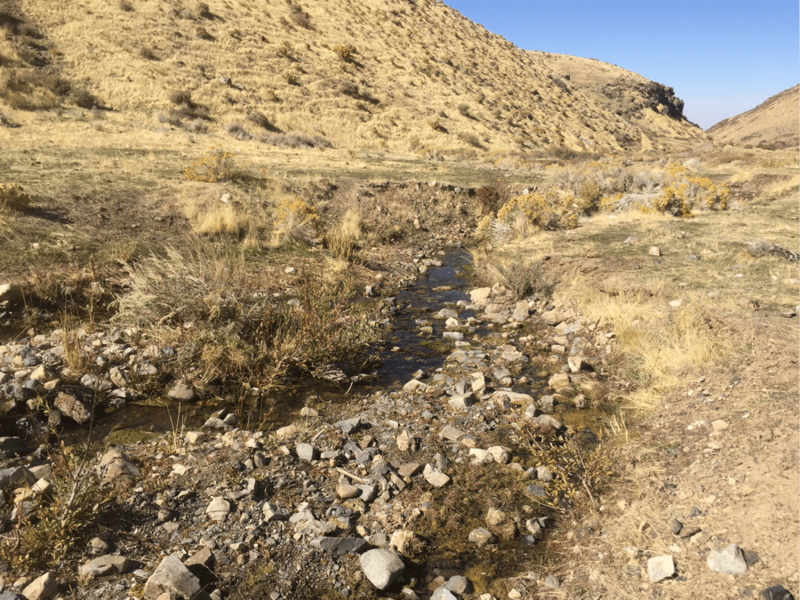 Dense cheatgrass has invaded cow-desiccated former mesic areas above stream. 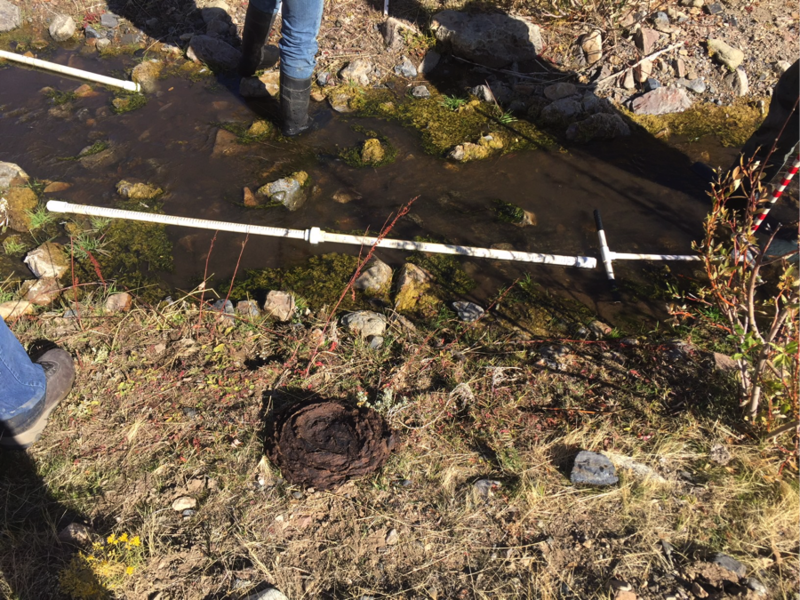 Sediment, decomposing algae and manure cloud water when substrate is disturbed.